Vector image collection of illustrations related to alien life, science fiction and space travel. 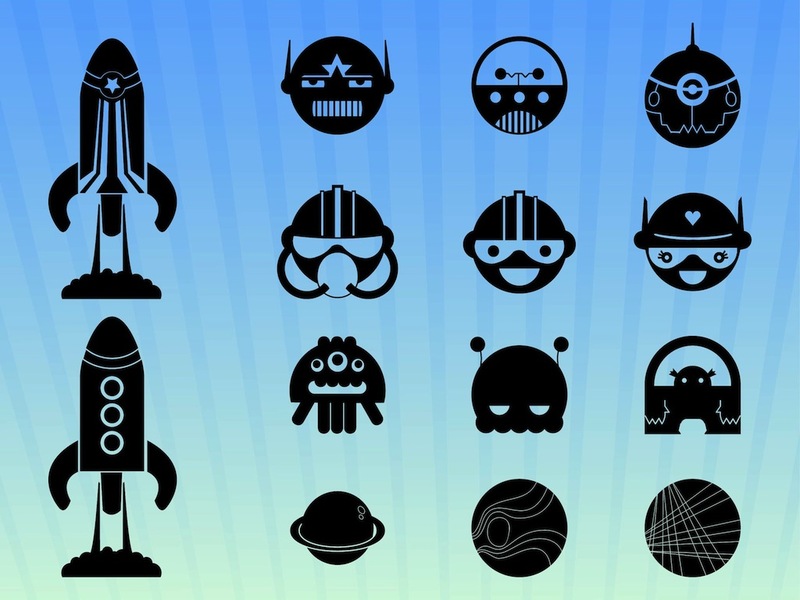 Solid color silhouettes of space shuttles, planets and various characters with different headgear and expressions. Free vector illustrations to use in all your logos, stickers, game characters, clothing prints and icons designs. Tags: Aliens, Characters, Monsters, Planets, Sci-Fi, Space, Spaceships.